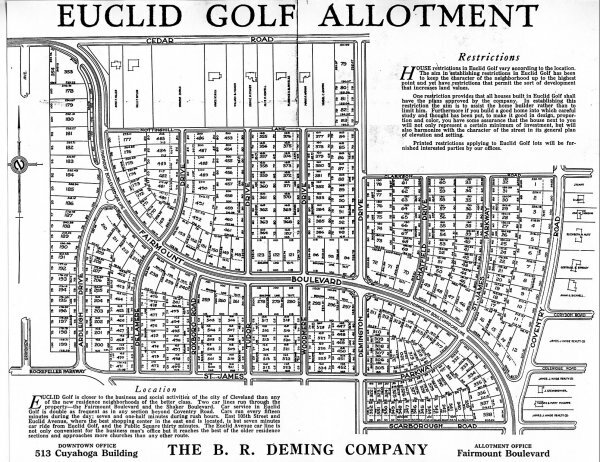 This is the map of Euclid Golf as it appeared in the first brochure Deming produced. Note that the houses shown along Cedar Rd. and the east side of Coventry Rd. are not a part of Euclid Golf. We suspect that Deming included them for marketing purposes, because he lists the names of the prominent owners of those homes.